There are several different stories about how pumpkins came to be part of our Halloween traditions. They are all interesting, and although pumpkin carving was first done in the Americas, all of the stories come from Europe. 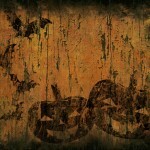 Halloween originated almost 3000 years ago with the Celtic people of Western Europe. In those times, the end of summer and the beginning of winter was considered to be the end of the year and a special, magical time. The Celts held a festival, called “Samhain” to recognize the end of summer. There were many traditions associated with the Samhain festival, and there were many beliefs about the power of that night. Most Celts believed that on the night of Samhain, the recently dead souls were permitted to walk the earth. It was traditional to attend a big bonfire on top of a hill to honor the gods. This was called the Samhain fire festival. On the way home from the fire, people would dress up in scary costumes to frighten away the dead souls roaming the earth. They would also take an ember from the bonfire to light the way. As the story goes, people would hollow out gourds or turnips, or even potatoes and place the lit ember inside. To help them scare away the marauding spirits, they would carve scary faces into the ember holders. Once they returned home, the lit gourds (or other vegetables) would be set in the window or outside of the door. This is thought to have been done either to scare away the malevolent spirits or to welcome benevolent spirits. The Wiccans and some other neopagan religions are still based on the ancient beliefs of the Celtics and the Druids, and some of these religions still participate in the Samhain fire festival. 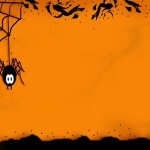 Carving pumpkins at Halloween time almost certainly has roots in these ancient rituals. However, farmers started carving faces in pumpkins soon after coming to the new world. This practice had nothing to do with Halloween but was instead associated with the harvest. 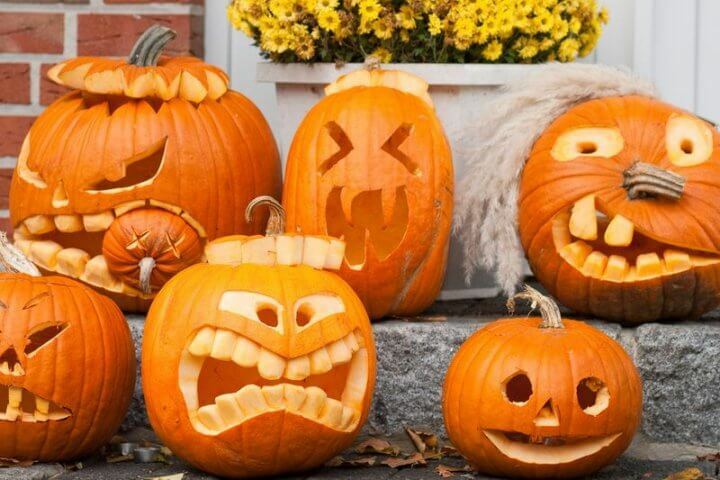 It wasn’t until the late 1800s that carved pumpkins became a part of the Halloween tradition. Irish immigrants started to call the pumpkins Jack o’ lanterns after an Irish folk tale about a wandering spirit named Jack. The story on Jack is that he played a trick on the devil and won back his soul. However, he had been such a bad man that heaven wouldn’t take him whether the devil claimed his soul or not. Being banned from both heaven and hell, Jack was forced to spend eternity roaming the earth. He did this carrying a piece of coal either that he had received in hell or that the devil had thrown at him. He used a hollowed out gourd to carry his coal and light his way. The reasons that pumpkins are a part of Halloween are a combination of all of these traditions. The ancient Celtic holiday is certainly part of the reason that we carve pumpkins, but it is important to remember that there were no pumpkins in Western Europe at that time. The first pumpkin ever carved was most likely in the United States since pumpkins are a native fruit. Calling the carved pumpkins Jack o’ lanterns most likely did come from the Irish folk tale of Jack. However, there is another story that in the early factories of the United States, the night watchmen carried lanterns and that those lanterns became known as Jack o’ lanterns. Regardless of the meaning behind the pumpkins, or Jack o’ lanterns, carving pumpkins at Halloween is a favorite tradition of many families.